Why Run in the 2019 Frosty 10K/ 5K? Where else can you find a cool 10k in Wake Forest? You can't! So come on out and warm up with a great, festive run. Enjoy a frosty 6.2 or 3.1 mile run that winds through Heritage neighborhoods. In case you need another reason, this is one of the primary fundraising events benefitting the Tri-Area Ministry Food Pantry, and everyone who participates can make a difference by helping to provide food for families who might not otherwise have a meal on their table. 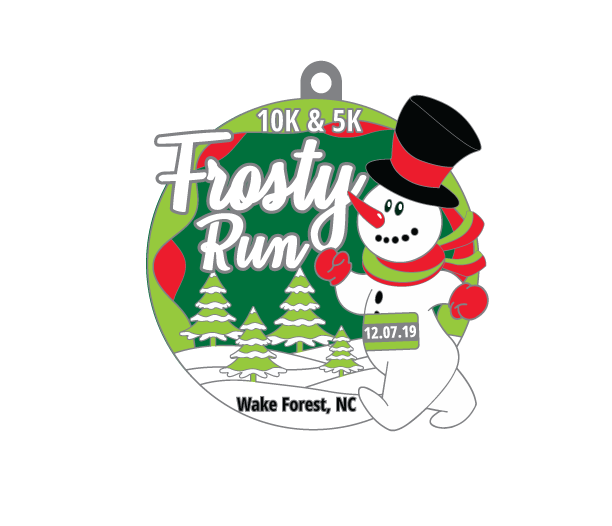 The FOURTH annual Frosty Run 10k and 5k is the fastest growing 10K in Wake Forest! This is the perfect winter run - a fun event made just for you. The course is perfect for all runners. It includes flat roads, trails, a few hills, pretty neighborhoods, and aid stations to keep you hydrated. The run starts and ends in front of Gatehouse Tavern in Gateway Commons and will conclude with a post-race party including a bounce house, coffee, and snacks for everyone. On the route you will have three aid stations: at approximately miles 1.5, 3, and 4.7. All pre-reistered participants get a long-sleeved 2019 Frosty Run tee-shirt and pre-registered finishers get a newly designed nice, shiny finisher's medal! The top three overall male and female winners will receive a special award. The top three overall male and female masters winners will receive a special award. The top three male and female athletes in the following age groups will also receive awards. Must be present to claim your award. The race benefits the Tri-Area Ministry Food Pantry. They will bring their box truck and will be accepting donations. Please don't just clean out your pantry and bring all the things you don't want... old pickles and olives. The next time you are in the grocery store, just grab a can of pasta sauce and a box of noodles. See here for a list of food needed to feed local families and to keep the shelves stocked. 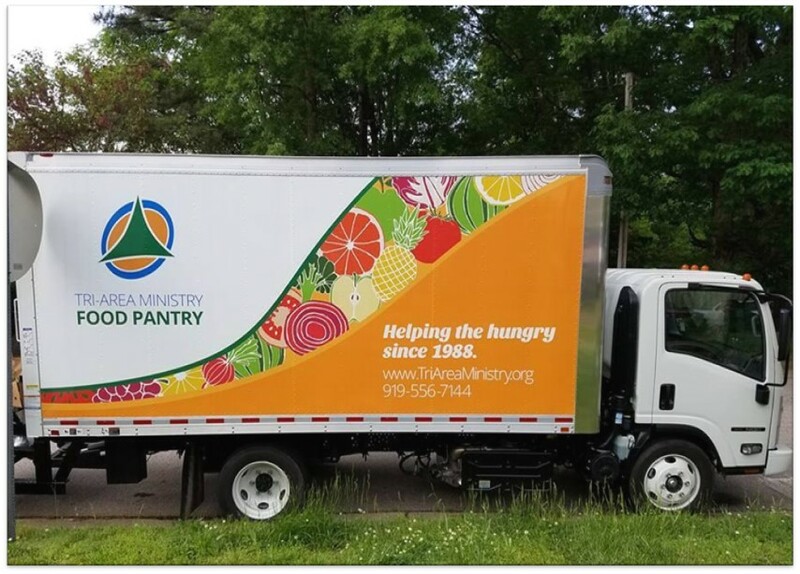 Bring food on Friday to packet-pickup, or race morning where the Tri-Area Ministry truck will be set up for collection.